UCB Technometal s.r.o.UCB Technometal, s.r.o. Home > UCB Group > Locations > UCB Technometal s.r.o. 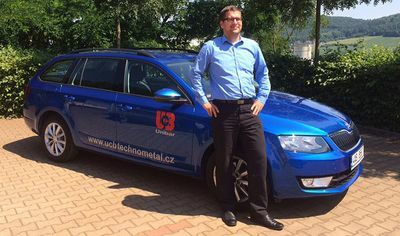 Since 1996 UCB Technometal has been successfully operating on the Czech and Slovakian market. Within this time, we have grown into one of the largest trading companies for continuously cast iron. In addition to our Unibar continuously cast iron, we offer our customers an assortment of non-ferrous metals: bronze, brass and copper alloys. 1996 Foundation of the company Technometal s.r.o. 2006 Technometal s.r.o. becomes part of the United Cast Bar Group, the company is renamed to UCB Technometal s.r.o. In our distribution center we have a machining shop equipped with different saws, conventional and CNC milling machines and lathes. Therewith, we can offer a broad spectrum of services like cutting, grinding and CNC machining of our Unibar continuously cast iron. 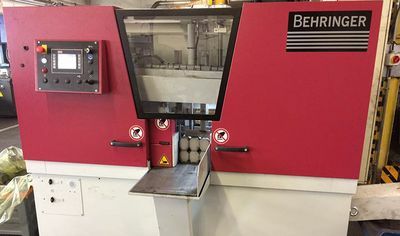 New in our offer: CNC machining centers, milling machines, CNC lathes, grinding of flat and round bars. According to the complexity of the workpiece, the service is provided by ourselves or in collaboration with one of our longtime partner. We supply hydraulic blocks based on customer drawings, in single and small batch production. Openings blocks are completely cleaned and deburring. For the production of hydraulic blocks we use the following material: Unibar 400-15, Unibar 500-7 and Unibar 250. Cutting profiles performed on semi-automatic and automatic band saws to a diameter of 650 mm or rectangular sections up to 1200 mm. 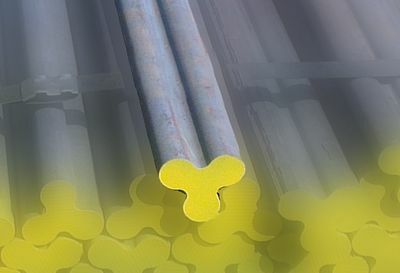 Material removal is carried out on conventional and CNC lathes, from 30mm diameter to a maximum diameter of 550mm and a length of 1500mm with six lathes in total (different capacities). 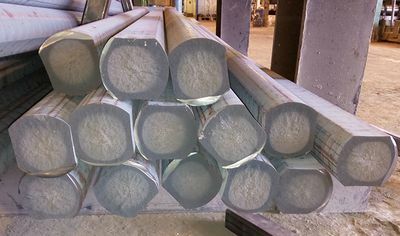 Roughing of square and rectangular bars is performed on conventional and CNC milling machines to the maximum width or height of 400mm and a maximum length of 1100mm. The production technology allows the production of tubes (rings) according to customer specification. In our online shop we offer a wide range of non-ferrous metals. These are available both in our own distribution center and in external warehouses. We can cut the ordered material to the appropriate length according to your demand and the material will be delivered across the Czech Republic. After a long-term and precise development our foundry in Zaragoza successfully produced a new special profile in Unibar 250 for the distribution center of UCB Technometal in Czech Republic.